Wow, what a deal. Don’t miss this nearly 2,000 sq ft home which offers 2 beds, 2 baths, and a 2 car garage for $89,900. You will love the large kitchen with granite counters, stainless steel appliances, and cherry wood cabinets. This is a very open floor plan. It has a living room, family room, and den that could be converted to a 3rd bedroom. Master bath has dual sinks, garden tub, and shower. Relax in the screened lanai. 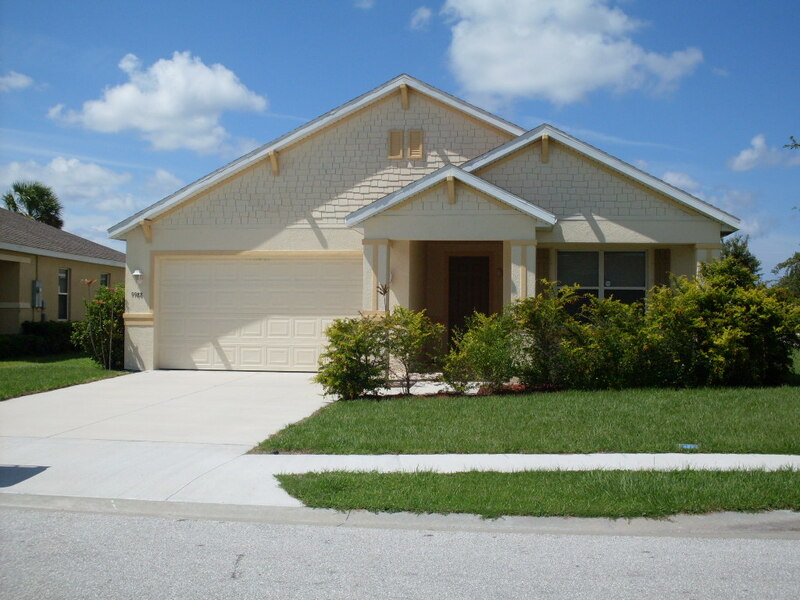 This is in Creekside, a small deed restricted community in Punta Gorda. The community has a pavillion, grill, and playground. Nice location near I75 and 41.